There are currently no setups for Castle Combe 2005. Add a Setup. I love this circuit. I have been a few times and I know that you have made a few mistakes. The Avon Bridge is black with white writing, there is no tyre wall on the inside of the circuit and next to the start light is a gantry the same height with red pipes siwrling around it. Youll see it on a few videos of laps. HI ,great track but there is a problem with the entry to the esses. If I take alot of cerb on entry to try and straight line the chicane as much as possible i'll get a drive through for cutting the track even though I havent cut the track and the corner markers are still standing. I think it might of happened also on the entry to bobbies as well but less often. It would be great if you could fix this as it means you can not take the optimum line through the corner like you would in real life. Love this mod, only just got it downloaded recently and it's definitely one of the most raceable circuits in rfactor. Not too big or just about speed, but laid out well for even full grids of cars, No wonder many real world racers I know like going there! I have to say, this is an unbievably well made track. Apart from the stunning track itself, the textures and cameras are amazing. 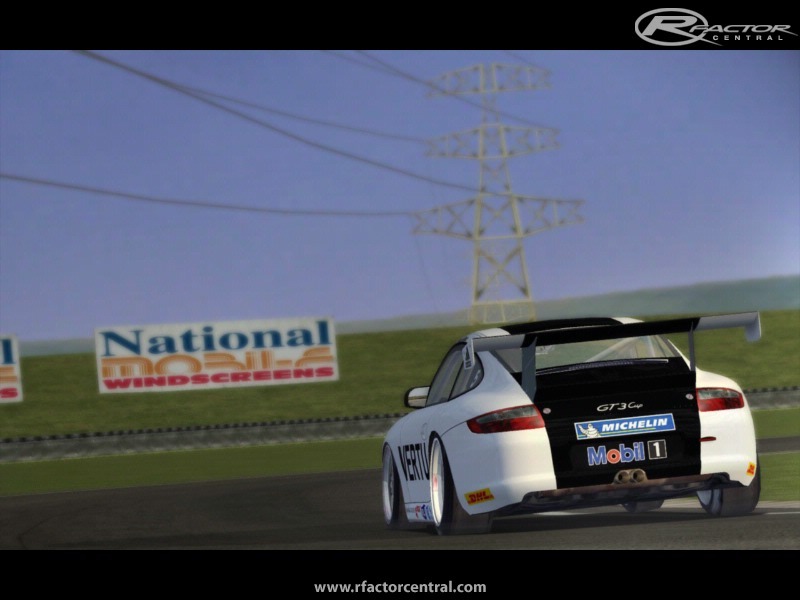 This is one of the top tracks for rFactor. glad your enjoying the track, it's so long since I did this conversion I didn't even still have it installed (gone through a few hard drives and pc's since then) so I've had to try and remember what I changed in the first file, basically all the fix was for was to correct an error where the tracks did not save lap records for each track individually, it did nothing to the running of the tracks and they will work perfectly well as they are. will fix the timing problem, just overwrite the existing files.